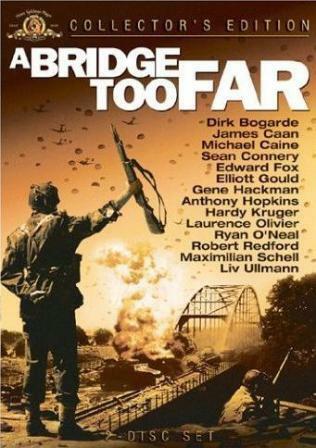 Stretching Moral Rights - A Bridge Too Far? Mira Rajan is to be noted for her continuing attempts to discover moral rights issues where others have not and would not. She has an interesting guest post on the notable 1709 blog entitled "Is Apple deleting the history of music? Moral rights on iTunes". With all respect, her argument is very unconvincing. It must be noted that Apple (iTunes) and Amazon are American companies and moral rights cannot be found in the American Copyright Act for performers or anyone else other than visual artists. At present, there simply are no moral rights in performer’s performances in Canada. If and when Bill C-11 passes, performers will have these rights but only prospectively. Moreover, the right of association or (or attribution as she calls it) will be clearly qualified by the wording “where reasonable in the circumstances”. This clearly means that there is no need to credit the third desk violists or even the bass clarinetist (which I was) in a symphonic or operatic performance. The side persons in a small ensemble may present a closer case, but there can be no “one size fits all” rule. Besides, moral rights can always be waived and this would be the case in the new law. Canadian law does not require that waivers be in writing and a sufficient waiver may be implied in the circumstances. Arguably, this would be the case for many session musicians or even sidemen who were and are used to being nameless – even on old record jackets or inserts (remember when?) where there was plenty of room to list their names. I agree that more information is better for cultural and historical purposes. However, the market and not moral rights law will probably fill the void – i.e.www.IMDb.com I believe that there are other databases already existing that provide metadata for many CD era recordings. As to providing the wrong track, that’s perhaps an isolated programming glitch in her example and someone might want to get their get their 99 cents back. But unless there’s a deliberate attempt to pass a Keith Jarrett improvisation off as Horowitz playing Scriabin (or other such unpleasant surprise), I don’t see any IP problem - much less a moral rights problem. As for using single tracks from an album rather than the whole album, or even single movements – what else has radio been doing for the last 100 years or so? How does selling a single track at a time harm a performer’s honour or reputation? Again, there’s probably at least an implied waiver here. Recording artists know that this will happen. They can try to work around it – like Gould if they are in his league – or they can live with it. But it’s rarely if ever going to be a moral rights issue. Anyway, the bottom line is that there are presently no moral rights for performers in Canada or the USA. I can’t speak for elsewhere. The Association of Canadian Community Colleges has just struck a deal with Access Copyright. It is similar to the AUCC deal - with one big difference. It’s for $10 per student per year and not $26 as per AUCC and $27.50 as per UofT/UWO. Here’s the model license. This appears to justify why the ACCC license is for $10 and the AUCCC model license is for $26. But is there any evidence to support either figure? The previous ACCC rates per FTE and per page were the same as the AUCC rate, namely $3.38 and $0.10 per page each. Here’s an example of a community college agreement. AC originally sought $45 per FTE from universities and $35 per FTE from colleges. So why does ACCC deal now appear to be a MUCH better deal than that of AUCC ($26) or UofT/UWO ($27.50)? Is the discrepancy in copying quantity between universities and colleges really so great? However, it’s not that the ACCC deal is so good. It isn’t – given the CCH decision from 2004 and the imminently expected legislation, not to mention the forthcoming Supreme Court decisions which are likely to make things better and not worse for the educators than the status quo. It’s just that it makes the AUCC and UofT/Western deals look even worse than they are. And they already looked pretty bad in the eyes of most both interested and independent observers. Indeed, the ACCC deal is about three times more expensive than the American CCC rate which most institutions don't bother using - which is now very problematic anyway given the recent Georgia State decision. Canada is way out of line with the USA, See here and here. Some critics argue that such a license is unnecessary, because educators are already permitted to copy approximately that amount without a license under existing Canadian law, or at least they will be upon the passage of Bill C-11, which is currently pending before Parliament. None of these figures make very much sense – especially when compared to each other. Students, academic staff and taxpayers will expect some answers. Meanwhile, other questions will arise. Will many ACCC members sign on? Will there be a “limited time” offer re retroactivity discount? Will ACCC abruptly withdraw its objection at the Copyright Board and abandon its membership, as did AUCC? What is the future of the Board hearing? PS - York University has just announced that "After careful review, a decision has been made that York University will not be entering into the Access Copyright licence agreement that was negotiated by the Association of Universities and Colleges of Canada (AUCC)." York is the latest entry on Prof. Ariel Katz's Hall of F/Sh/ame. The Supreme Court of Canada has just granted leave to appeal in three related copyright cases involving Cinar, Ronald Weinberg, the Estate of Micheline Charest (Weinberg's late wife), Claude Robinson, BBC et al. It’s about how a concept for Robinson Curiosité became a series entitled Robinson Sucroë. Here’s the Supreme Court of Canada “summary”, which seems to be similar in all three cases 34466, 34467, and 34468. Case summaries are prepared by the Office of the Registrar of the Supreme Court of Canada (Law Branch) for information purposes only. Intellectual property – Copyright Act, R.S.C. 1985, c. C 42 – Infringement – Evidence – Steps and tests for determining whether substantial part of work reproduced within meaning of ss. 2 and 3 of Copyright Act – Admissibility of expert’s testimony concerning reproduction of substantial part of work within meaning of ss. 2 and 3 of Copyright Act. In 1982, Claude Robinson, an artist, drew the first sketches of the characters for a proposed children’s television services to be called Robinson Curiosity. A few years later, in 1985, the Copyright Office issued a certificate of registration for Robinson Curiosity listing Mr. Robinson as the author of the work and Les Productions Nilem inc. (“Nilem”), a corporation of which he was the sole shareholder, as the owner of the work. Starting in 1985, Mr. Robinson and Nilem stepped up their efforts for the promotion and production of Robinson Curiosity, including with Cinar Corporation/Cinar Films Inc., but those efforts were unsuccessful for nearly 10 years. In September 1995, however, the first episode of Robinson Sucroe, a work produced by Cinar Corporation/Cinar Films Inc., France Animation S.A. and Ravensburger Film + TV GmbH, was broadcast in Quebec. Since Mr. Robinson and Nilem found similarities between their work, Robinson Curiosity, and the work produced as Robinson Sucroe, they brought an infringement action in the Quebec Superior Court, which allowed the action in part. On appeal, the Quebec Court of Appeal upheld in part the Superior Court’s findings concerning the infringers but reduced several aspects of the monetary award made at trial, mainly on the basis of revised calculations of the profits and punitive damages. The case got a lot of attention in Quebec and has some very colourful personalities and prominent counsel involved. Defoe's work gets mentioned in the judgments below. In any event, contrary to the expectations of some pundits, the Supreme Court of Canada has apparently not yet lost its appetite for copyright cases. Meanwhile, suspense builds on the outcome of the "pentalogy" from December 6 and 7, 2011, not to mention Cogeco et al v. Bell et al heard on April 17, 2012 regarding "value for signal" and the interplay between the Broadcasting and Copyright Acts. The long awaited trial judgment in the Cambridge et al v. Georgia State et al copyright litigation has been delivered. HT to Ariel Katz. exceed thirty (30) pages each. of these requests will be deferred until further order of the Court. of copyright." Campbell, 510 U.S. at 578.
use factor one weighs heavily in Defendants' favor. of unpaid copying in absolute terms. favor when such permissions are not readily available. the Court concludes that it would not. Note that the Court looks to the US Supreme Court’s 1994 decision in Campbell as the ultimate authority regarding fair use and the interplay of the four factors. This issue arose in the recent Canadian Supreme Court K-12 case argued on December 7, 2011 and now under reserve. The issue of the status of the fourth factor and the role of Campbell became the subject of some heated discussion by Dan Glover, Ariel Katz, Bill Patry and myself recently on this and other blogs. Once again, we have confirmation - not that it was needed - that the US "fourth factor" is simply one of four factors and in no sense the most important factor - and that, indeed, even other factors can be considered. The decision is 350 pages long. Though tempted, I’m not rushing to be the first to analyze it in detail on this fine spring weekend. Of interest in Canada? You betcha! 70 The availability of a licence is not relevant to deciding whether a dealing has been fair. As discussed, fair dealing is an integral part of the scheme of copyright law in Canada. Any act falling within the fair dealing exception will not infringe copyright. If a copyright owner were allowed to license people to use its work and then point to a person’s decision not to obtain a licence as proof that his or her dealings were not fair, this would extend the scope of the owner’s monopoly over the use of his or her work in a manner that would not be consistent with the Copyright Act’s balance between owner’s rights and user’s interests. And bear in mind that Access Copyright is refusing to provide transactional licenses in Canada, in contrast to the CCC in the USA and arguably in contravention of Canadian competition law. However, this point is not likely to be vigorously pursued if it is raised at all at the Copyright Board, the way things are now going. Let’s all think about what, if any, impact this might have had – or still might have – in the Access Copyright case at the Copyright Board that appears destined to proceed against the universities without their participation, following their abandonment by AUCC – unless things change. The Alberta Court of Appeal just released a very important decision yesterday about academic freedom, universities and freedom of expression that appears very likely destined to find its way to the Supreme Court of Canada. The case is Pridgen v. U. of Calgary 2012 ABCA 139. It involved a widely reported incident in which students were disciplined for making very unflattering comments on Facebook about a particular lecturer. There were severe problems in the procedure used to discipline the students. The Alta. Court of Appeal has just released a judgment confirming that the disciplinary proceedings should be quashed on purely administrative law principles. However the main judgment by Paperny, J.A. has some resounding language about the Charter. The other two judges concurred in the administrative law result quashing the disciplinary ruling – but wrote that it was not necessary to decide the Charter issue in this instance. So – according to Justice Paperny, the Charter generally and “freedom of expression” in particular applies on university campuses in Canada. This might have become an issue if the current Access Copyright board case were to have played out in the normal way at the Board. It would have been interesting to see how AUCC would have dealt with it. However, AUCC’s withdrawal and abandonment of its dissatisfied members in the Copyright Board hearing may prevent this from airing. At the recent Fordham conference in NYC, I was on a panel dealing with fair use/fair dealing in which there was very intense interest between the interplay of “freedom of speech” as the Americans call it and “freedom of expression” as we call it on the one hand and copyright law on the other. The battle over the interplay is likely only just beginning. One can no longer maintain a pastoral view of university campuses as a community of scholars removed from the rest of society. This does not mean that a university should not be able to direct its own affairs, certainly in academic matters, free from government interference. It should. Respecting Charter rights in disciplining students will not, in my view, inhibit it in the exercise of that institutional independence or the exercise of academic freedom. Rather, it will promote the institution as a place of discourse, dialogue and the free exchange of ideas; all the hallmarks of a credible university and the foundation of a democratic society. VI. Conclusion The Canadian Charter of Rights and Freedoms applies to the disciplinary proceedings undertaken by the University. The decision of the Review Committee failed to take into account the Pridgens’ right to freedom of expression under the Charter. The decision breached the Pridgens’ freedom of expression and cannot be saved by section 1. Moreover, the Review Committee’s decision was unreasonable from an administrative law perspective. The decision of the chambers judge to quash the Review Committee’s decision is upheld and the appeal of the University is dismissed. Rep. Zoe Lofgren's first question and answer session with Ms. Maria A. Pallante, Register of Copyrights for the U.S. Copyright Office, about her November 2011 meetings with motion picture executives in Los Angeles. After returning to Washington, DC, Ms. Pallante essentially endorsed the controversial SOPA legislation being considered at the time. Rep. Zoe Lofgren's second question and answer session with Ms. Maria A. Pallante, Register of Copyrights for the U.S. Copyright Office, about meetings in New York City and Los Angeles and their relationship to controversial SOPA legislation being considered at the time. In light of recent news reports of allegations by a former Library of Congress employee claiming he was fired because of his sexual orientation, Rep. Lofgren ended her Q&A session by asking each of the division heads testifying to say what steps they are taking to ensure employees are not discriminated against based on race, religion, gender or sexual orientation. Rep. Lofgren is the top Democrat on the Oversight Subcommittee. AUCC Settlement with Access Copyright – Questions and Answers - or Still More Questions? I have been provided with a very recent AUCC (“Association of Canadian Universities and Colleges of Canada”) Q&A sent to its members regarding its April 16, 2012 deal with Access Copyright (“AC”). Many members of AUCC are very concerned about the #ACdeal (Twitter hash tag). Presumably most of the three dozen or so “opt-out” institutions and many of the others are unhappy. I will call them “dissenters” – even though they may even be a majority of the AUCC membership. The basic irony is that they didn’t even get a chance to dissent because there was no opportunity for them to discuss the deal. Does this Q&A document answer their understandable questions? Here is the original Q&A. My own comments are interlineated below in red italic bold faced font. As this blog always points out and occasionally emphasizes, this is NOT legal advice. These comments are far from detailed. This is not the forum to go into detail. 1.Q What are the advantages of the AUCC settlement with Access Copyright? A The model license provides long-term certainty on price, and access to a new range of digital materials. Most importantly, it respects the principles of academic freedom and privacy and ensures that the administrative burden on institutions is minimized. The price is very high – arguably too high by a factor of several hundred per cent - to justify such “lock in”. The model license does not provide access to a new range of digital materials; it does not provide access to any work to which a university has not already secured lawful access (s. 4(d)). AC’s own chain of title to most digital material is very doubtful. AC will turn post-secondary institutions into auditors and enforcers on its behalf. 2.Q Is the fee of $26 per FTE a reasonable rate? A The fee reflects current market rates under other copying agreements between universities and copyright collectives. For example, the current photocopying licence between the Quebec collective Copibec and Quebec universities requires payment of an annual fee of $25.50 per Full-Time Equivalent (FTE) Student. In addition, the agreements signed recently with Access Copyright by the University of Toronto and Western University, which also cover paper and digital copies, require annual payments of $27.50 per FTE. It is very unlikely that the Copyright Board will certify a final tariff fee for universities that is significantly lower than the market rate negotiated by AUCC. Prices imposed by a publishers’ collective cartel that uses the Copyright Board proceedings as a threat are not “market” prices. The Copibec rate derives from a distinct regime in which many aspects are not applicable outside of Quebec. The UofT and Western deals are highly controversial. Few persons other than those directly responsible consider these to be “good deals” or reflective of a “market rate”. The fact that the Board may yet certify a higher tariff is a self-fulfilling prophecy. A good benchmark for what is the “market” price is what the Copyright Clearance Center (“CCC”) charges universities in the US. In most cases it is zero because very few universities purchase blanket licenses from the CCC. Where licenses are in place in the USA, they are typically about $3.75 per student per year. A There has been a significant migration of copying for course packs to digital copying for use on course websites. The AUCC model licence allows digital copying to fill gaps in the coverage of the digital site licences that universities have signed. The photocopying licence with Access Copyright did not cover digital copying. AC is believed to have very limited rights to deal with digital copying on behalf of third parties. Most institutions already pay a lot of money for licenses that allow for digital copying. How many times do they need to pay for the same thing? Note all the restrictions on Digital Copies in s. 5 – most notably the obligation to destroy any Digital Copies of Repertoire Works stored on a Secure Network if the license should expire. 4.Q Who will pay the fee of $26 per FTE? combination of the two, will pay the fee depending on local arrangements. True. But this totally begs the question of why AUCC took upon itself the right to effectively mandate a “one size fits all” regime that will in many cases pass along costs to students with no effective voice and in many other cases impose large costs on AUCC members that were not consulted at all. 5.Q Does the definition of “Copy” in the AUCC model licence mean that AUCC accepts that posting a hyperlink to a digital copy is the same as authorizing the making of a copy and requires a licence? A Despite the ruling of the Supreme Court of Canada in a recent defamation case, Crookes v. Newton, it is still an open issue in Canadian law whether posting a hyperlink could make a person liable for authorizing the copying of the digital work. The definition of “Copy” in the model licence makes the licence and the indemnity very broad in scope. Another provision in the model licence clarifies that AUCC has accepted this definition on a “without prejudice” basis and reserves the right to take a different position on the meaning of the term in any other proceeding. It would be very surprising if a Canadian court were to hold that mere linking could possibly give rise to “authorizing the copying of the digital work”. If this wasn’t obvious before the 2011 Supreme Court of Canada decision in Crookes v. Newton, it should be quite clear by now. AUCC reserves the right to take a different position in other proceedings? That is ironic, given AUCC’s handling of this proceeding. It does not explain why AUCC would agree, even in a qualified way, to an important legal conclusion that is, at the very least, almost certainly invalid. 6.Q Does the model licence require that royalties be paid for copying that may be done without permission, e.g. fair dealing? A The payment under the licence is not for copying that may by [sic] done without permission. The preamble on the first page of the model licence states clearly that the licence does not apply to copying under fair dealing or any other statutory exception. Nor does the licence payment cover uses that are licenced directly from publishers or other copyright collectives. We must take AUCC’s word for this. However, this defies the apparent facts. What we do know is that 8 years following the CCH v. LSUC decision from the Supreme Court of Canada that explicitly recognized “large and liberal” “users’ rights” re fair dealing, AUCC has, for whatever reason, conceded that the basic rate should go UP by 800% and not down by an appropriate multiple. It is clear that, for practical purposes, the model license greatly weakens the concept of fair dealing and users’ rights. The model license offers very little, if anything, beyond what universities are already permitted to do under the licenses that they have in place and under fair dealing, and any university who signs the model license will have to ensure compliance with the license provisions that may be much more narrow than fair dealing rights.(e.g. the right to permanently store electronic copies for research and private study, when this would be “fair dealing”). We also know that fair dealing shrinks from disuse. Most American universities, which are normally eager to assert their rights, don’t have any agreement with an organization such as AC, and those that occasionally obtain licenses from the CCC pay fees that are miniscule in comparison. 7.Q Would it have been better to wait until after Bill C-11, the Copyright Modernization Act, becomes law and the Supreme Court of Canada rules on fair dealing in K-12 schools before AUCC settled with Access Copyright? A Bill C-11 and the upcoming Supreme Court decision on fair dealing are unlikely to affect the need to secure a licence for copying required readings for students for inclusion either in course packs or on course websites. Required readings is the principal category of copying covered by the model blanket licence agreement. The imminently pending Supreme Court decisions and and enactment of Bill C-11 are clearly and crucially relevant to the issues at hand. Given the decisions to date by the Copyright Board and the Federal Court of Appeal in the K-12 case and this case, things almost certainly will only get better when Bill C-11 passes (which expressly includes “education” as a fair dealing purpose) and the Supreme Court K-12 decision has been delivered. That decision will almost certainly deal with whether copying “required” or prescribed readings is ipso facto unfair, as the Copyright Board ruled, and other directly relevant issues. The fact that the AUCC believes that Bill C-11 or the Supreme Court ruling will have little effect on what universities are doing is astonishing. AC itself clearly believes otherwise, as shown by their enormous lobbying efforts and the positions taken by AC and its supporters in the Supreme Court. monitor the electronic correspondence of students and faculty? A The proposed survey under the AUCC model licence will respect the principles of academic freedom and privacy. The agreement explicitly states that the survey will not provide access to chat rooms or e-mails of the AUCC member, or of its students or academic staff. The Copyright Board tariff proceedings would likely have required more onerous and invasive disclosures of information. AUCC still has some basic issues to work this out with AC on this pursuant to clause 11 of the model agreement. Given recent events, do institutions still trust AUCC to represent their best interests and to bind them on this fundamental issue that could generate grievances galore by faculty? Why did the AUCC effectively concede that the Board would have the power to require more onerous and invasive measures instead of challenging this assumption and stand up for the rights of educators? 9.Q Will the AUCC model licence restrict access to educational material? A The AUCC model licence increases access to educational material by providing the right to copy a new range of digital materials that were unavailable under the previous photocopying licences. For AUCC members that had opted out of the Interim Tariff, the model licence agreement will allow the digital copying of works for which they were unable to obtain transactional (pay-per-use) permission from the copyright owner. The transactional license issue is quite possibly ultimately winnable – but the setbacks to date have seriously prejudiced AUCC members. Direct licensing - including with AC when it has the necessary rights – would be far more efficient for both users and author/publishers. 31, 2015, two years after the first Access Copyright tariff ends? A The longer term gives AUCC members and their students certainty in the royalty rate for a longer period than the term of the tariff. It also provides AUCC members with a longer period in which to establish appropriate copying policies and procedures, and to ensure that faculty, staff and students comply with those policies and procedures. Not to mention a longer period of time for AC to get entrenched as a Copyright Board regulated monopolist and to use revenues from its 800% increase to seek yet higher tariffs, lobby for narrower users’ rights, and build a war chest to further intimidate administrators of any university that decides to take its users’ rights seriously. agreed to by both the AUCC and Access Copyright Boards of Directors. Neither AUCC nor Access Copyright was permitted to share information about the negotiations with their respective members. This answer is frankly completely circular. It seems that AC had to keep everyone in the dark because it agreed to keep everyone in the dark. Given that this is a “negotiated settlement” in a context that puts immense pressure on universities to accept, it is surprising that AUCC members were simply informed after the fact. 12.Q Why has AUCC dropped its opposition to the tariff? A It is unlikely the Copyright Board will approve a tariff fee for universities that is significantly lower than the market rate fee negotiated by AUCC. In addition, the Copyright Board has already ruled against AUCC’s request that it amend the Interim Tariff to add a transactional licence, and the courts refused to intervene on the basis that the decision of the Copyright Board is an interim decision. For many reasons, some of which have been suggested, this is far from being a “market rate”. The fact that AUCC has agreed to a model license that supposedly reflects “market rates” will indeed make it very difficult for dissenting universities to do better at the Copyright Board. Such dissenters would need to show that these rates are not “market rates”. As indicated, if AUCC had provided the necessary evidence at the right time, it might have been possible to have dealt successfully with the transactional license issue. However, this is not what happened. While some may blame UofT and Western for setting the precedent, Paul Davidson has admitted that the decision to cut a deal was made before the UofT/Western deal was announced. If AUCC had secured AC’s consent to withdraw the tariff application regarding AUCC’s members, then the institutions that don’t want the model license would have the clear option of continuing on an “opt-out” basis. Instead, AUCC agreed to AC’s pressure tactics that are intended to secure an effectively mandatory and even more onerous certified tariff at the end of the day. 13.Q Why was it important for AUCC to negotiate an agreement now? A The recent decision of the Federal Court of Appeal not to intervene in interim proceedings of the Copyright Board meant that the Board's previous orders for AUCC members to provide information relevant to the proceedings became binding. Had AUCC not reached agreement with Access Copyright on a model licence, AUCC members would have been required to embark on an invasive, time-consuming and expensive work to respond to interrogatories and likely participate in an onerous survey. AUCC failed initially to even try to seek review of the interim tariff. (This was no ordinary “interlocutory” or “procedural” matter. It raised serious jurisdiction and fairness issues that might have resulted in a successful judicial review application). AUCC could have limited the need for interrogatory responses to only a representative sample of its membership, as the Board itself suggested. It did neither. Again, the AUCC concedes that the Board has powers that it may not actually possess, if challenged. In any case, this seems to contradict Q&A #15 below. 14.Q What is the purpose of the retroactive payment provisions under the model licence? A AUCC negotiated a fair retroactivity formula in the agreement with Access Copyright that provides for very deep discounts to payments for the use of digital works that was not covered by the Interim Tariff and to cover the value of the indemnity, which is retroactive back to January 1, 2011. This indemnity provides an additional degree of retroactive protection for inadvertent infringement involving works within Access Copyright’s repertoire. All AUCC members have either been paying under the interim tariff or direct licensing on their own after opting out. There is arguably no need and no good justification for ANY retroactive payments. It appears that the retroactivity discounts are simply part of the pressure tactics to which AUCC unfortunately agreed. Copyright to respond to interrogatories or participate in a survey of copying? A Because AUCC has withdrawn from the Copyright Board proceedings, the Board no longer has any jurisdiction to order AUCC to secure responses from its member institutions to interrogatories or their participation in a survey. AUCC members are not parties to the proceedings. In previous proceedings the Copyright Board has ruled that its powers are not unlimited, and that it probably does not have the power to order non-parties to the proceedings to answer questions or to participate in a survey, otherwise than by ordering them to appear at the hearing as a witness under a subpoena. The Copyright Board has never exercised its power to issue a subpoena. AUCC could have limited the need to respond to interrogatories in the first instance to a small sample of its members as the Board itself suggested, but made no attempt to do so. AUCC has put its members in an apparently paradoxical and very difficult position here. It seems to suggest on the one hand that the Board lacks the power to make rulings on interrogatories and surveys that are apparently in the works binding on individual institutions. Even if this is right, it fails to address the fact that the Board’s apparently intends to proceed on a default basis at the instance of AC and with AUCC’s blessing to certify what will surely be a harsh tariff, if there is no voice for the dissenting universities in the Board hearing. AUCC does not begin to address the very serious practical, financial, and legal difficulties that its abrupt withdrawal from the Board hearing will cause to its membership today, tomorrow and well into the future. AUCC would still seem to have many questions to answer to its dozens of members that this Q&A does not even begin to address. However, now is the time – and potentially an existential moment in time at that - for damage control and, if so desired, a counterattack by dissenting institutions. Further questions and answers will have to come later.